Mr. Leonidas Markides, Ambassador Extraordinary and Plenipotentiary of the Republic of Cyprus to the Russian Federation, is 64 years old. According to him, his life and diplomatic career have been very rewarding. A year ago, Leonidas came to Moscow as head of the Cyprus diplomatic mission. “This will be my last diplomatic assignment,“ the Ambassador of Cyprus stated. Leonidas Markides answered our questions in an interview with Capital Ideas. You have served as a diplomat in many countries. Which one was the most memorable, which one did you like the most? In my long professional career over the past four decades, I have been very privileged to live and work in many and important world capitals. I started in 1984 as a young diplomat in Washington DC, where I learned the basics and, in practical terms, fundamentals of diplomacy. After spending 3 years back in my home capital, I returned to Washington for another full term, this time in a more senior position at the embassy. Next posting was Paris for 3 years and later on Helsinki, where I was appointed as the first resident Ambassador Extraordinary and Plenipotentiary of the Republic of Cyprus to Finland. My next two Ambassadorial postings were in Berlin, Germany and in Rome, Italy before coming last year to my current posting in Moscow where I am expected to complete also my long diplomatic career before retirement. Diplomats have always played an important role in international politics. Ambassadors have many important tasks, foremost representing their own country abroad, meeting with officials of foreign governments, participating in negotiations and bilateral talks, taking part in international conferences and promoting their country throughout the country or countries of accreditation. I honestly enjoyed very much everywhere I served and I appreciated what each place had to offer. Memories I have plenty for all the countries I served. Every country has left a mark on me. From your perspective, has Russia changed a lot over the past few years? The whole world changed, not just Russia. There have been many changes. It is my impression that Moscow stands out in particular as a place where a lot has been done. It is obvious that the authorities have put in a lot of work in terms of reconstructing and beautifying the city and improving road quality. It is true that there are severe traffic jams in Moscow, but no major international city has been able to resolve this problem completely. The service sector in Moscow definitely appears to be in a good path. For foreigners, the quality of service here is similar to that of any European capital. Go to any good hotel or restaurant in the center, and you will realize the upper scale level of service. Yes, it is expensive in Moscow, but very competitive to that in London Paris or New York. Moscow’s preparations for the World Cup are in full swing. Do you have a ticket to a match already? I think that Moscow gained already a lot because of the preparations for the World Cup! It forced in a way the authorities to expedite many works around the city in anticipation of the feast of football. The city looks ready. Unfortunately, the Cyprus national team did not qualify so it will not participate in the World Cup in Russia. Nevertheless, I expect that many Cypriots who love football will come to Russia and watch world cup matches. As for myself, I will watch the games from the comfort of my residence TV room, unless I manage to acquire a ticket preferably for the final. 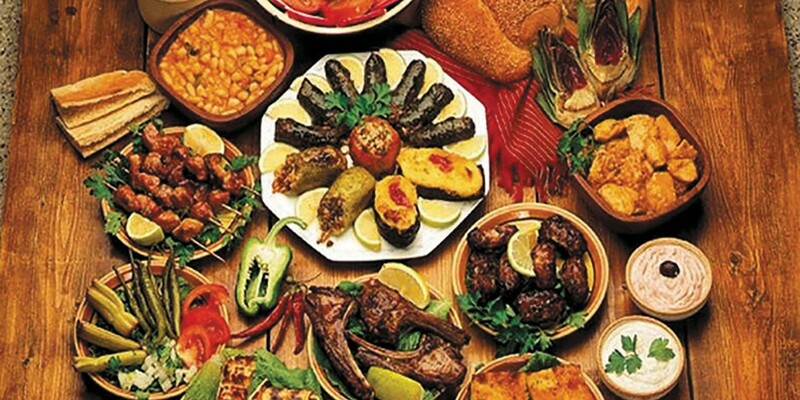 Is it true, that is not a single restaurant in Moscow that specialized in Cypriot cuisine? Yes, unfortunately it is true. In the past, we could find one or two Cypriot restaurants but now there is none. However, I am happy that we have some very good Greek restaurants in Moscow that also serve Cypriot plates. 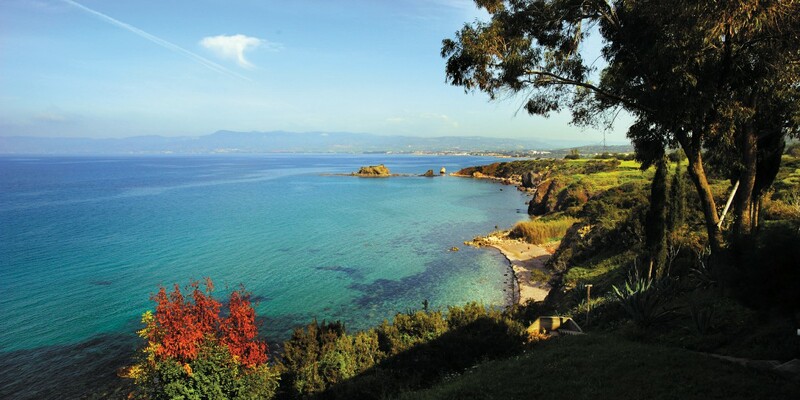 Cypriots who live here gladly go to these Greek restaurants. They are just as good as in Greece or Cyprus. Cypriot cuisine is a very rich cuisine and is primarily Greek and Mediterranean combined with some Middle Eastern culinary influence. We enjoy a big variety of vegetables and legumes, which are very important in our traditional meals. Of course, in addition to the above we should not forget our tasty meat dishes like souvlakia, sheftalia, atelia, kleftiko, keftedes but also our traditional pastistio and moussaka just to name a few. Be honest, do Cypriots dislike Russian cuisine? I do not think so. Cypriots generally like to try foreign cuisine and why not Russian. With the presence of a Russian community in Cyprus, we started to see the opening of some Russian restaurants in Cyprus so Cypriots now know more about Russian cuisine and learn how to appreciate Russian food, which they did not know until now. In Moscow, I learn how to enjoy traditional Russian food like borsch soup, pelmenis ,Russian salad, and of course shashlik. What do you think about relations between the Republic of Cyprus and Russia? The relations between our two countries are excellent. People feel close to each other: We share common traditions common history same religion. People understand each other although we speak different a language and feel very comfortable when they travel or live in each other’s respective country. Suffice to mention the presence in Cyprus of a vibrant and active Russian community who live happily on the island. The political relations are also excellent in all levels. The exchanges between the two countries are frequent and productive. In spite of the global economic crisis and the sanctions imposed on Russia by the EU, relations between our governments have improved across many spheres. 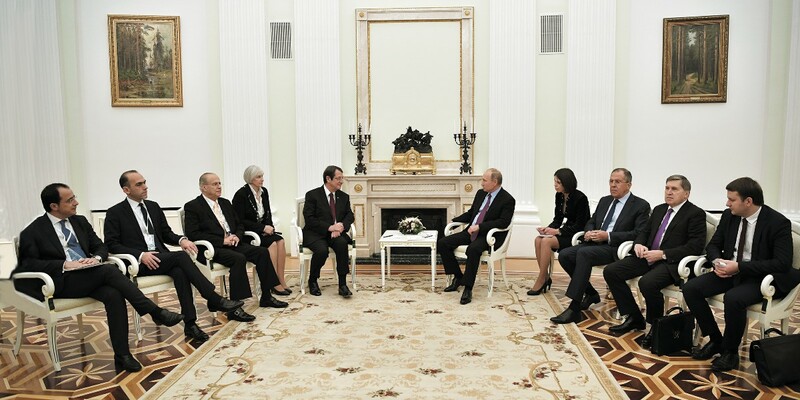 Last October, the President of the Republic of Cyprus Mr. Anastasiades visited Moscow and had official talks with President Putin. After wrapping up the talks, he said that the two sides had a great opportunity to discuss issues of mutual interest, and exchange views on how Nicosia and Moscow can contribute to stability and progress in the region and the world. During this meeting in Moscow a number of important agreements, memoranda of understanding, and action plans that will facilitate further strengthening of our rapidly developing cooperation were signed. The agreements covered a number of different spheres, including Maritime cooperation, transport, communications and information technology, and economic cooperation. Is it true that most tourists in Cyprus are Russians? In 2017, the number of foreign tourists who came to Cyprus hit a record high of 3.6 million people. One million of them are British. Russians tourists came a close second with eight hundred fifty thousand, which is already a new record for this market. It was our best year so far for Russians visiting the island. It is our hope that we would manage to maintain the same tourist volumes this year as well. 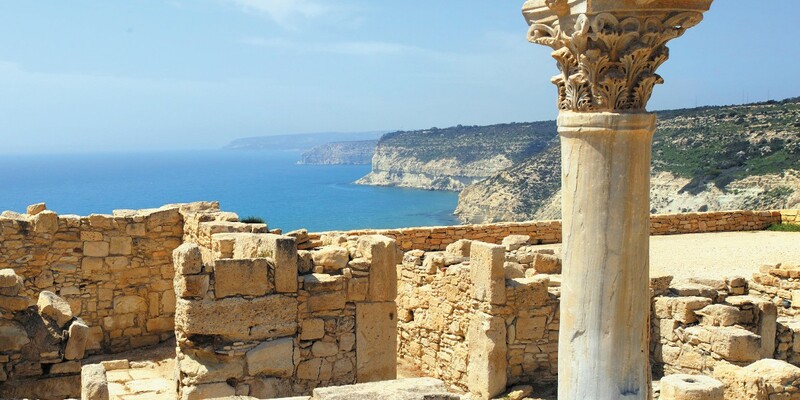 The Embassy and the four consulates of the Republic of Cyprus in Russia are working very hard to facilitate the paperwork required for Russian tourists who would like to travel to Cyprus. Through a simplified and efficient process, they can easily obtain entry documents. They can apply online and obtain a provisa almost immediately, usually within 24 hours. Moreover, there are many daily direct flights to Cyprus from Moscow, St Petersburg, and many other Russian cities. For Cyprus, tourism is a very important industry and we are working very hard to maintaining high standards. Cypriots have a special affinity for Russians. Russian tourists are welcome guests for us. We do everything to ensure that travelers from Russia, as well as other parts of the world feel at home and enjoy to the maximum what the island has to offer. What do you like to do in your free time in Moscow? Moscow is a very vibrant city and there is no way to be bored. There are so many things to see, do and enjoy, if of course you have free time. Exploring Moscow’s center on foot is a good option, especially during the summer time. I also like to explore areas outside the center, while driving. There are so many museums, art galleries and beautiful parks, which can keep one fully busy during one’s free time. Recently, I had the opportunity to visit and walk around the famous Gorky Park and it was really an enjoyable experience. Do you have an opinion about Muscovites? In my job, I have the chance to meet many people, officials, members of the government, parliamentarians, business people but also simple Muscovites, whom I find easy going and very welcoming to foreigners like myself. Unfortunately, my Russian language skills are not so good, so my personal interaction with Muscovites can, sometimes, be limited. Nevertheless, I find that people in Moscow are always very polite and willing to help. They will go out of their way to find the way to assist you in case you need help. In Moscow, I do not feel like a stranger, I feel very comfortable. The city is a very welcoming place. I am certain that when my term is complete and it is time to return home, I will take with me great memories and I will leave behind many good friends not just professional acquaintances, but many personal friends as well. Painting of course is my hobby. At some point in my life, I felt the desire to express myself through painting and realized that it helps me to relax. This was 12 years ago when I was still in Berlin. I am not a professional painter, I do not even know if I am a charismatic one. However, for me it is very relaxing and fulfilling. I love to paint nature, landscapes, forests, the sea, clouds. I have not painted yet anything that would remind me of Moscow, but I am accumulating impressions while I walk around Moscow and soon I hope I would be able to express them on the canvas. Do you visit museums or galleries in Moscow? Yes of course. Moscow is full of museums and galleries and with every opportunity I have I visit them. I have been to exhibitions at the Moscow Manege and have visited the Tretyakov Gallery and the Pushkin Museum already a few times. I love impressionists, and now I am exploring Russian art and especially paintings from Russian artists who I did not know before moving to Moscow. Contemporary Russian art is multifaceted and very interesting. I am just getting started exploring it. What was your impression of the Bolshoi Theatre? I was very impressed by the legendary Bolshoi Theater, famous around the world. I had the opportunity to attend a few performances including classical ballet, opera and concerts. I must admit that it is a unique experience. It is also the tradition that at the end of the year, Russian Minister of Foreign Affairs Sergey Lavrov invites all the Ambassadors in Moscow to a ballet performance at the Bolshoi Theatre. This has become a wonderful tradition, and we all wait for it with anticipation every year. Do Cypriots like traveling to Russia? Cypriots like to travel abroad and of course, many of them include Russia in their travel plans. Most of them visit Moscow and Saint Petersburg using organized tours. This year though we expect an increased number of Cypriots tourists to come to Russia for the World Cup games. Mayor of Moscow Sergey Sobyanin has said several times that he would like to make Moscow a comfortable city for foreigners to live and work in. In your opinion, do you think he has been successful? Cypriot business people who live and work in Moscow often tell me that they feel very comfortable here. Everything in the capital seems to meet top international standards, for both work and everyday life.